Well, it looks like I am officially a stub man. When I first started using fountain pens I was content with European EF nibs like those found in the Lamy Safari. Then I discovered what the Japanese had to offer nib-wise, setting the hook deeper. While those Japanese ultra fine nibs are my daily writers the lure of the stub nib has reeled me in. And, like my standard nibs, the finer the better. 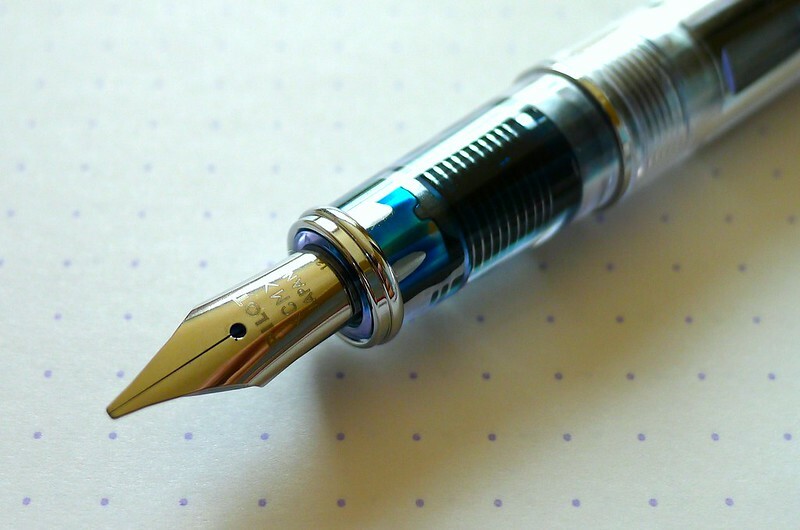 The Pilot Prera is a pen that has been around for years. It is known for its quality build, great feel, and excellent value. I have three solid color barrels that make it into the rotation from time to time, but only when the calligraphy medium (CM) nib came out did I pick up a Clear Body model from JetPens. 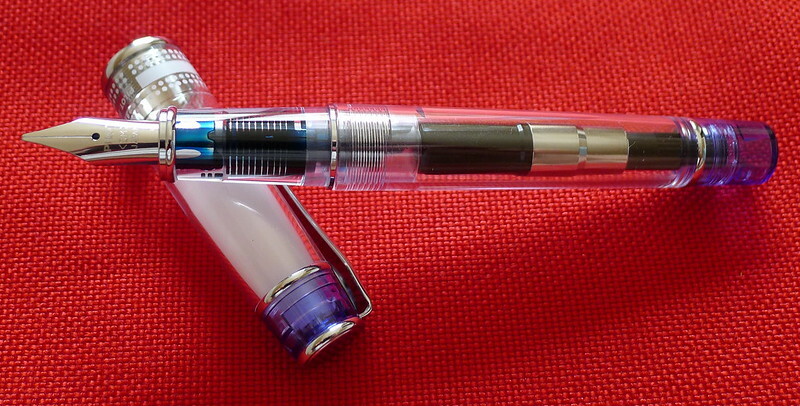 Compared to many other fountain pens the Prera is lighter and smaller. It still fits the bill as a full sized fountain pen, albeit near the small end of that chart. This makes it extremely portable, which is one of the main reasons I enjoy it so much. 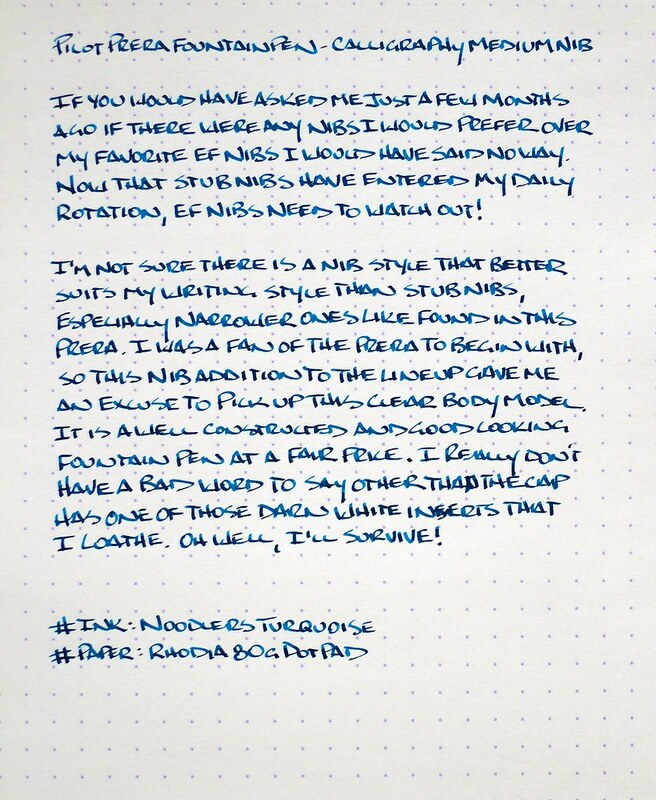 This review is all about the stub nib though (calligraphy, italic, and stub are not necessarily interchangeable - I use "stub" in the general sense). Checking in at approximately 1.1 mm, the nib is as firm as a nail and writes a wonderfully sharp, yet smooth, line. I talk all the time about finding the proper tools to suit your handwriting style and I have found that stubs fit me perfectly. My collection of stub nibs is growing fast, and I am searching for more in the 0.9 mm and smaller range. Do any manufacturers have stock nibs in that range, or am I looking at custom only? Pro Tip: If you like the idea of the Prera CM but not the price tag you can get the same nib in the Pilot Plumix for under $8. Posted on July 15, 2013 by Brad Dowdy and filed under Fountain Pens, Pen Reviews, Pilot, Prera.